It doesn’t matter whether you’re brand new to content creation, or a seasoned veteran with years of experience – every writer could use a little help now and then. In a world full of digital noise, these tools can help you (or your team) craft content that separates you from the crowd, for yourself, and for clients. Content with relevant images gets 94% more views. While you could use stock photography, many niches can benefit from repurposing user-generated content. Photos are just one way of utilizing UGC to increase sales and relevant traffic. Beyond including them in your content, you can include them in advertising campaigns, and on product pages, too. 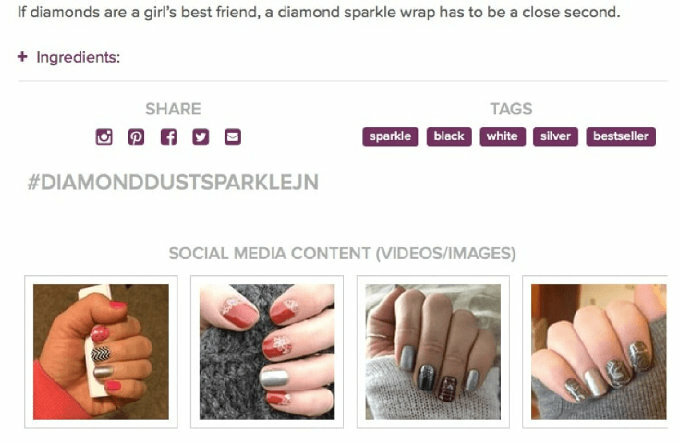 Jamberry, a direct sales company that sells nail wraps and polishes, is an example of a company using Yotpo to harness the power of Instagram user photos and videos right on their product pages. Each product has its own hashtag for easy tracking, and customers who wonder what that product might look like see a variety right away. Yotpo would be particularly beneficial to clothing retailers. Instead of their customers only seeing what a dress or other outfit looks like on a tall, thin model, user generated photos can show them how it will look on someone built very much like they are. While 80% of B2B marketers have a content marketing strategy in place, only 32% of them have it documented. The marketer’s dream, ClearVoice is the answer to all your content creation needs. ClearVoice is an all-inclusive suite of tools to help you plan content, find the best writers to produce it, and connect with influencers to help promote it. Workflow, creator management and distribution options are available in Pro plan and above, starting at $48/month per user, when paid annually. Did you know, on average, only 20% of people will read anything past the headline? Make it count! 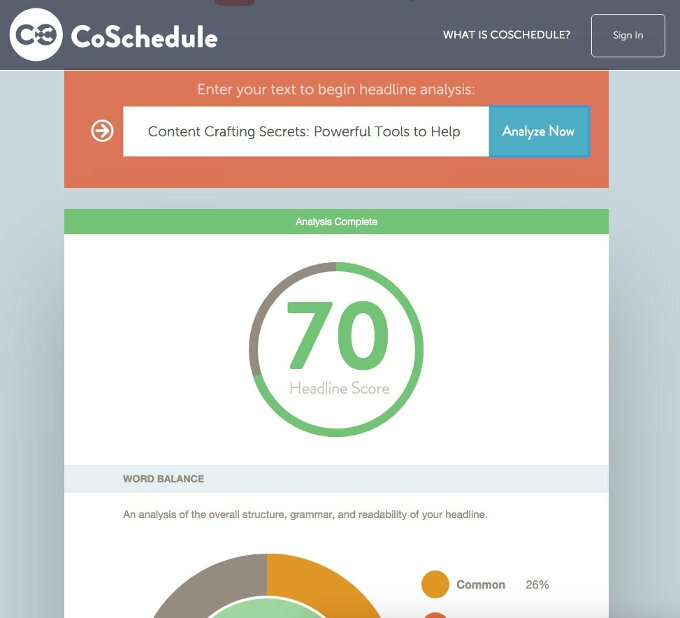 The CoSchedule Headline Analyzer is a free tool designed to help writers create more click- worthy titles. Start with a title you think you’d like to use, and get a numerical score, as well as a letter grade to guide you, along with a full explanation of why your title received that designation. The analyzer looks at the types and number of words you use and the number of characters. Strive for a balance in common, uncommon, emotional, and power words. You’ll also see how the title will display in Google, and whether it has a positive or negative sentiment. If you’re not happy with your score, try a variation and see what happens. Run as many title ideas as you want, until you find the one that works best. The headline for this article got a 70 B+, but the basic concept: tools to improve your content? only scored a 60 B+. Have an idea for a killer piece of content, but need to get the ideas out of your head and onto paper? 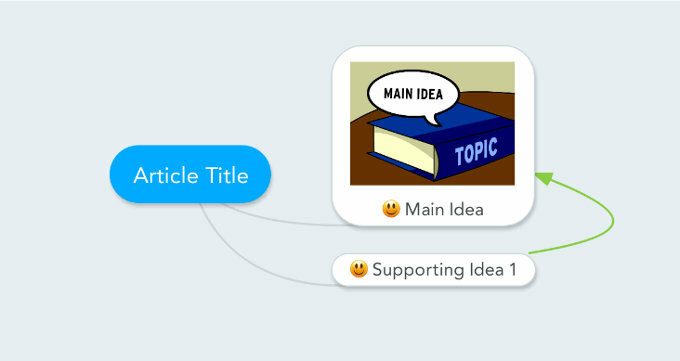 Mindmeister offers a collaborative mind mapping tool to make planning articles easier, whether you’re working solo or with a team. It’s web-based, but also has apps for iOS and Android, so it’s great for brainstorming on the go. As an added bonus, you can turn your mind maps into slideshow presentations to embed on your website or broadcast online. The Basic plan is free forever, but only allows for three mind maps. For those who want more than the free plan has to offer, pricing starts at $36 per user for six months. If you’re a writer who struggles with grammar rules from time to time, Grammarly is like a souped-up, and much improved version of the Microsoft Word spelling and grammar checker. If you don’t have a proofreader, or find yourself missing errors, Grammarly steps in to correct more than 250 types of grammatical mistakes, along with contextual spelling errors and vocabulary usage issues. In addition to the web interface that allows you to upload documents for scanning and editing, there are desktop apps and browser plugins available. After a free trial, prices range from $11.66/month to $29.95/month depending on whether you choose monthly, quarterly, or annual billing. 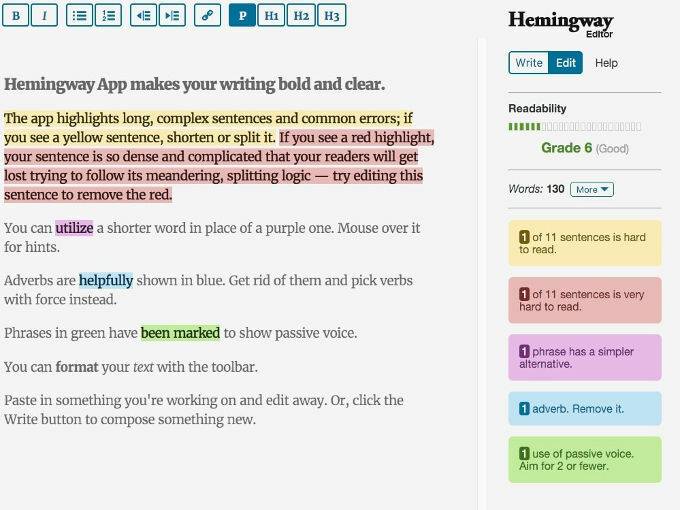 An alternative to Grammarly, Hemingway Editor offers a basic grammar and readability check, that allows you write and edit from right within your web browser. 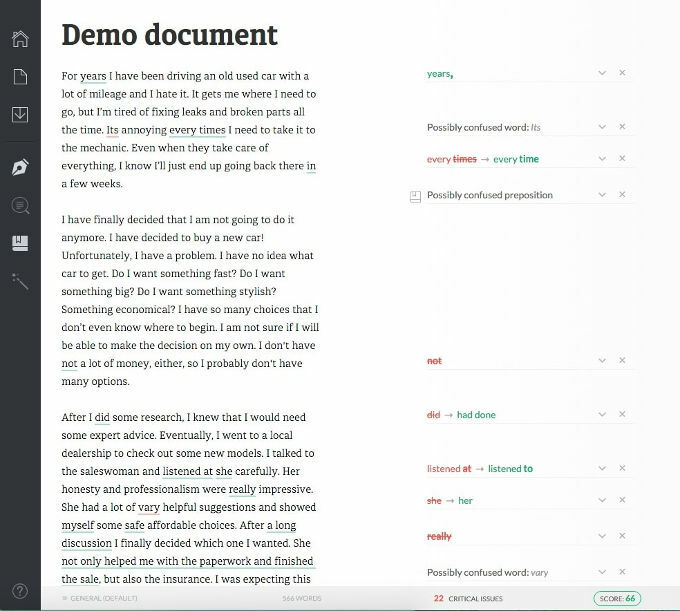 Though not quite as robust as Grammarly, it’s an option for writers on a budget, since it is completely free. Use it to break bad habits like writing in passive voice and to make your writing more succinct. After you’ve created the best content ever, you’ll want to connect with niche influencers to help spread the word. Traackr allows you to find influencers in any conversation, with additional features such as geo-targeting and multi-lingual search. 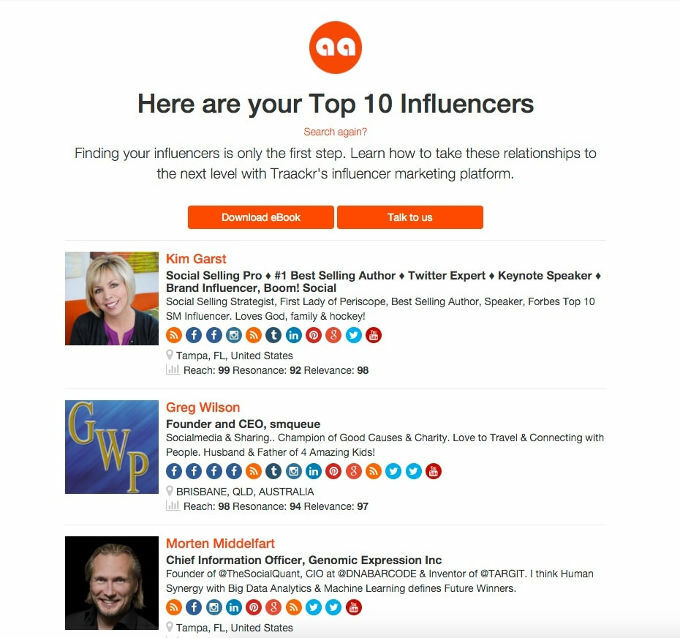 The free tool lets you find 10 influencers for keywords of your choice. 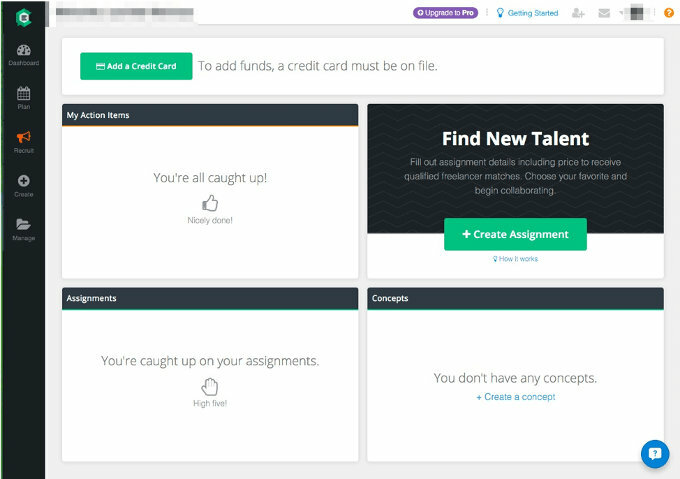 Premium features include full profiles with details about their reach, response rates, and relevance to your topic, built-in engagement and tracking, and campaigns. For pricing information, schedule a consultation. 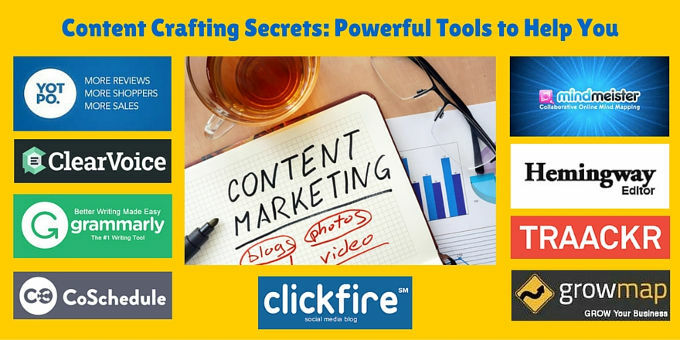 Adding any of these tools to your content creation workflow will help you create more compelling content that resonates with your audience. Best known for building collaborations and creating processes, Gail Gardner is the founder of GrowMap.com and Co-founder of the Skype Mastermind group where freelancers learn to make a better living online.